If you are in charge of operating a commercial establishment, you likely have many responsibilities on your plate. You need to make sure that employees are doing their jobs at all times. You also need to make sure the equipment you have is in good, working order. In addition, one of the most important aspects of running a commercial business is controlling the air quality inside of it. You can do this by relying on industrial fans to get rid of stale, contaminated air that could have a negative impact on your facility. 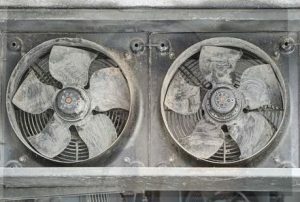 Industrial fans are used to remove different types of contaminants from a commercial environment. They can help restaurants owners remove smoke, fumes, and odors from a commercial kitchen. They can help warehouses remove heat, moisture, dust, allergens, and pollutants from the areas where their employees work. In addition, they can help any establishment that offers public restrooms. Moisture can build up inside of them and cause mold, mildew, and other issues if you don’t have a way of removing it. With an industrial fan, you can keep every single room in your commercial establishment safe and prevent air quality issues from hindering your operations. In most cases, an industrial fan can be incorporated directly into your company’s HVAC system. But you can also have industrial fans installed in other parts of your commercial business as well. Dynamic Fan has help hundreds of New Jersey businesses with their industrial fans over the last 25 years, and we would love to help yours, too. It doesn’t matter if you want to install a single fan or multiple fans throughout your business; we can get the job done! We can also help you with any repairs or maintenance that needs to be completed on an existing industrial fan. Call us at 973-244-2422 today, and we will take care of all of your industrial fan needs.